Spring is here! And I couldn’t be happier despite my allergies. In DC, spring means many things, including the start of picnic season, a new wave of tourists in matching ponchos and flag shirts, track work on the Metro, unpredictable weather, wrap-up of the Republican primaries, and most importantly… the cherry blossoms! 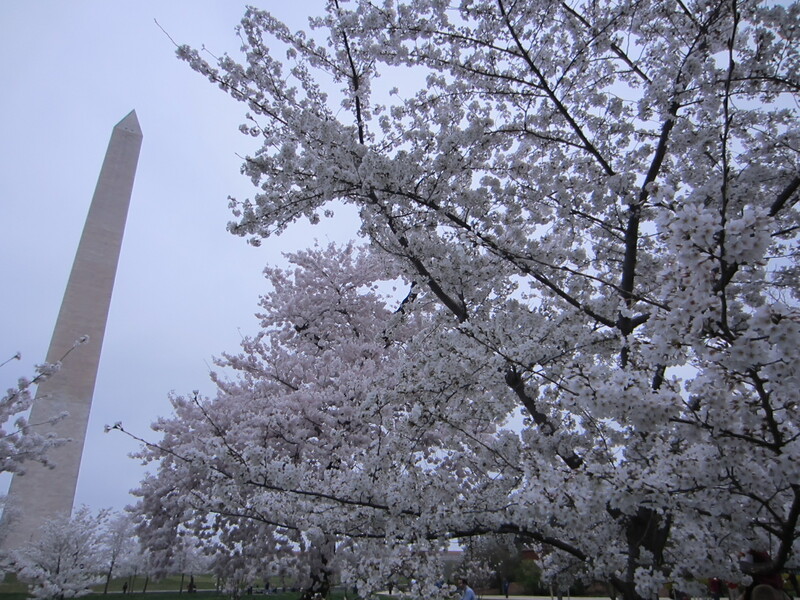 The cherry blossoms were given to Washington, DC as a gift from the City of Tokyo as a symbol of friendship in 1912. One hundred years has passed since the planting of those original 3,020 trees while the meaning of the blossoms has grown and transformed over time. 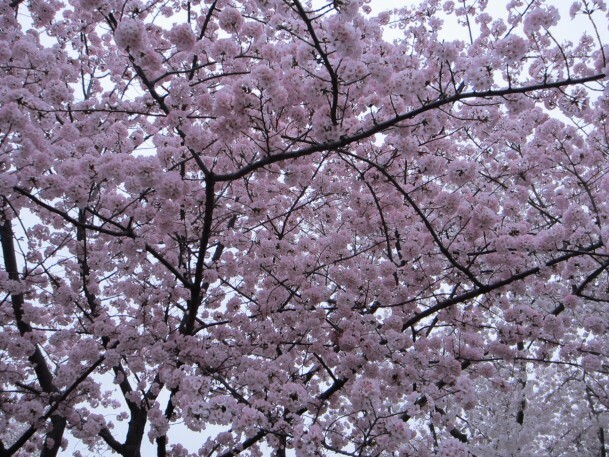 For example, the trees were a site of political vandalism after the attacks at Pearl Harbor in 1941, and the Cherry Blossom Festival was suspended until 1946. After the war, the trees became the site of a peace lantern commemorating the first Treaty of Peace, Amity and Commerce signed between the US and Japan in 1854. Lighting of this lantern now kicks off the official Cherry Blossom Festival each year in the District. Several First Ladies have been key in the planting and preservation of the cherry trees and their blossoms in DC since 1912. First Lady Helen Taft arranged for the acquisition of the original trees and planted the first two cherry trees on the northern bank of the Tidal Basin in a ceremony with the Viscountess Chinda, wife of the Japanese Ambassador. These two original trees are still standing today near the John Paul Jones statue at the south end of 17th Street. 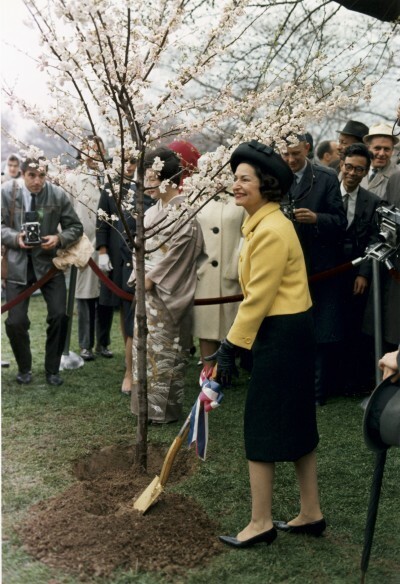 Over 50 years later, Lady Bird Johnson and Mrs. Ryuji Takeuchi, wife of Japan’s Ambassador, reenacted the planting ceremony when the Japanese government donated another 3,800 trees to the District. Lady Bird Johnson was very devoted to the beautification of Washington, and many of these trees can be seen around the base of the Washington Monument. The cherry blossoms have grown into something way beyond the physical blooms. They have become something that the entire city gathers around and waits anxiously for. They have become part of the cultural identity of the District and draw huge crowds from around the country every year. Each spring, the chief horticulturist for the National Park Service forecasts the expected peak bloom dates which are then announced in a huge press conference. The annual Cherry Blossom Festival is planned around the peak bloom dates and usually occurs over two weeks. However, in honor of the 100 year anniversary, the festival will last a whopping 5 weeks! Over the next several weeks, in a variety of venues around the city, all things will turn to pink, cherry blossoms, and Japan-themed. Events include an elaborate Opening Ceremony, a Parade, a street festival, special art and music installations around the theme of Japan and the cherry blossoms in many of the Smithsonian museums, bike tour events, food events, food tours while you bike events, workshops, lectures, cherry blossom cruises on the Potomac and every other type of activity you can imagine! 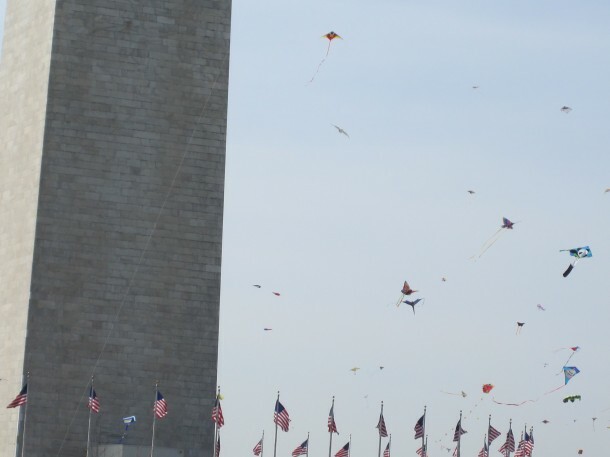 Some of my favorites include the annual Kite Festival and the Waterfront Fireworks Festival (with food trucks of course). For more information about the National Cherry Blossom Festival, visit the Official Website. To see some really pretty pictures of the cherry blossoms, I recommend browsing the DCist Flickr pool. All photos are mine, except for historical photos via the National Archives Online. This entry was posted in Do, Washington, D.C. and tagged cherry blossoms, DC, do, explore, festivals, melissa, spring. ← XiaoBaiCai you are mine!